Orlando Fandango is just around the corner. May 19th! 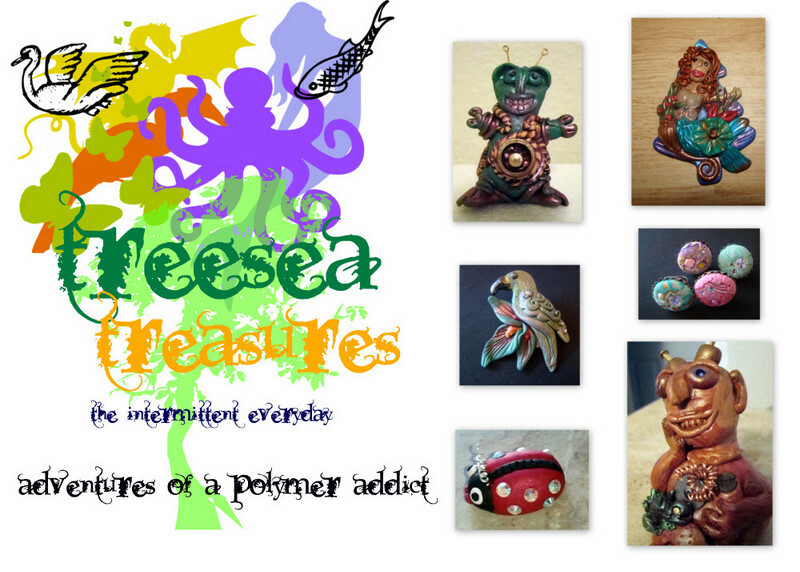 This will be the second time I've attended this fantastic polymer clay retreat. Each year, the Orlando Area Polymer Clay Guild hosts this teaching/retreat. This year's teachers are Christi Friesen, Maureen Carlson and Penny Jo Couch. Check the Orlando guild link above to see examples of the things we will be doing. There is so much more to the retreat than the classes...making new friends...reuniting with old friends, observing lots of free demos, eating chocolate, eating ice cream, staying up late, eating chocolate, getting up early, sleeping in, eating chocolate...haha...I guess I am thinking a lot about chocolate right now! It's four days of just plain fun! And the Orlando Guild works very hard all year long, just to make it happen! This year retreaters are swaping mini treasure boxes and can bring any handmade item of their choice for a blind brown bag swap. I would love to show you mine, but it's a secret!! I promise to post what I get in return and pictures of what I gave also....AFTER I return. There are two competitions: Bottles of Hope and Hidden Treasure. All the artists attending the retreat have the option of having a small area to sell their wares in the Boutique. All in all, it's a great week of sharing ideas and getting inspired by other artists! I can't wait!